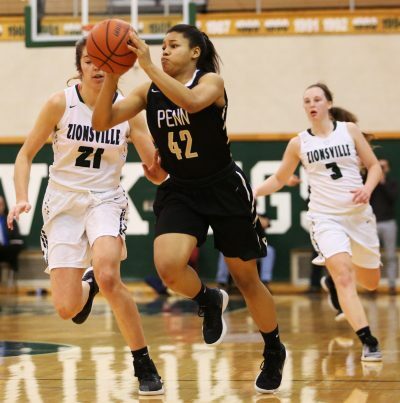 Penn’s dream of a Girls Basketball State Championship ended in the Semi-State with a 53-45 loss to Zionsville on Saturday, Feb. 17. The Kingsmen, who won the State Championship in 2016, finished the season with a 26-2 record. Reganne Pate led the Kingsmen in scoring with nine points. Jordyn Smith and Sara Doi scored eight points each. Antreese Shelton and Grace Adams scored seven points each.